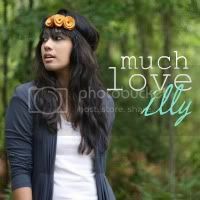 much love, illy: current obsessions wednesday: spring fever affects more than the head. current obsessions wednesday: spring fever affects more than the head. can you believe it's already wednesday?! i feel like this week and this month is flying by! i want time to slow down just a tad so i can catch up on life a little bit, but on the flip-side, as the days are flying by, that means the colder days of winter are too! right?! but i love the lace print! it's so comfortable and it's one of those dresses that i know can be worn in a million ways. this collection is beyond incredible. rumor has it, they sold like hot-cakes. i believe it. people tweeted that they had dresses in their carts but as they were about to pay, someone beat them to the punch. ouch. i have my eye on a couple of them but the ones i really want are all sold-out. they make me all want spring to fully arrive 100% NOW. these four items are the top four items that you'll see in my favorite section in my etsy account. i've been drawn to colorful, minimalist, and floral pieces as of late. 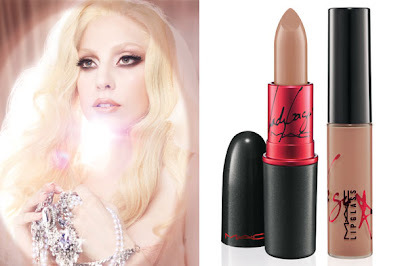 i did not at all expect Lady Gaga's make-up to work for me but hey, you won't know until you try! it's not as neutral as i expected it to be. it has more brown in it so it actually worked far better than i expected and i LOVE it. what spring trends are you obsessing over? just one more day to enter Shawni's giveaway for a $20 Sephora gift card! also be sure to check out Alely's generous OhsweetleeMe giveaway! I love this outfit! And I love the new hair and the blue nails. Perfectly polished lady! LOOVE that green etsy bag!! You look FABULOUS in that dress! And who knew Gaga did makeup!?!? I am in love with jewelry accessories and ruffles!!! Plus I am seriously jonesing for flats and my toms! UGH!! I hate boots and socks. . . but I also don't like being cold. Michigan man. . . MORE SNOW TODAY!!! MARCH YOU ARE FAILING ME!!! i am obsessing over cut-out wedges, yellow ones & high-waisted pants... i bought some and am just trying to get the nerve up to wear them!! Oh I love that lace print dress. I could definitely see myself wearing something similar! I love that bag too! The ruffles are so pretty. I love your outfit girl!!! and That Made By Hank bag is so beautiful!!!!! and I heart Sunshine and Carousels!! Oh my gosh I love Red Velvet's collection!! LOVE LOVE LOVE Your dress! and your etsy favorites are CUTE! I love that color nailpolish - so fun! As one of those shoppers who tweeted that my dress was snagged while I was PAYING FOR IT, I was really disappointed in the way Red Velvet's system is set up. On most websites, if it's in your cart, you have a claim on it for at least a few minutes while you're checking out. It seems so... ugh, just so frustrating & rude for a system to allow for the sort of chaos theirs did on launch day. HI There! :) Just wanted to let you know I've nominated you for a Stylish Blogger Award. ok, first - NO WAY! can't believe i missed you by one day! we got in friday, but it was super late! next time we head that way i'll make an announcement a week in advanced! second - love all your current obsessions! that red velvet line looks adorable. and i have a couple viva glad lip glosses - love them! Man, that headband is super cute. :) ha. love your dress and your matching nails!! super cute!!! and you know i wanted to get that kite dress in the relvet collection!! love it!! just found your blog thru my girl, michele's blog! ^.^ super cute blog!! and hmm i am currently obsessed with black lips & turbans! I also flipped over the red velvet dresses. SO awesome. I love your belt! i want! I need to work more dresses into my wardrobe-love that dress! Super cute shoes, love them! CUTE look; especially love the blue nails. Reminds me that I need a mani. And, YAY for the Lady Gaga lipstick! So glad you love it as much as me. A new fave for sure. 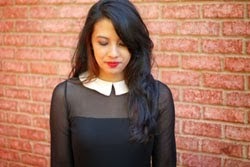 i've also been in love with the red velvet dress collection. i want all of them! Oh wow! What a beautiful dress. You look fabulous! !♥ xo. oo you have picked some fabulous favorites!! loving your dress friend! i just can't wait to wear skirts and no tights for spring! and yes, i will definitely take you to fabulous restaurants next time you're in atl!!! madebyhank is also one of my faves, and it's my dream to own a handbag or tote from there! Super love this outfit and all of your loves right now! Isn't Red Velvets collection just divine! Adorable...Love the dress! I'm all over orange and wide legs right now...oh and floppy hats! this outfit looks awesome on you!!! i love the dress too! Totally loving this week's obsessions, especially that green shoulder bag!